Art & Design Bookstore has been my favourite find in South Bombay so far. Just off Colaba Causeway (Google Map it, it'll get you here), the bookstore is on the first floor of an old building. 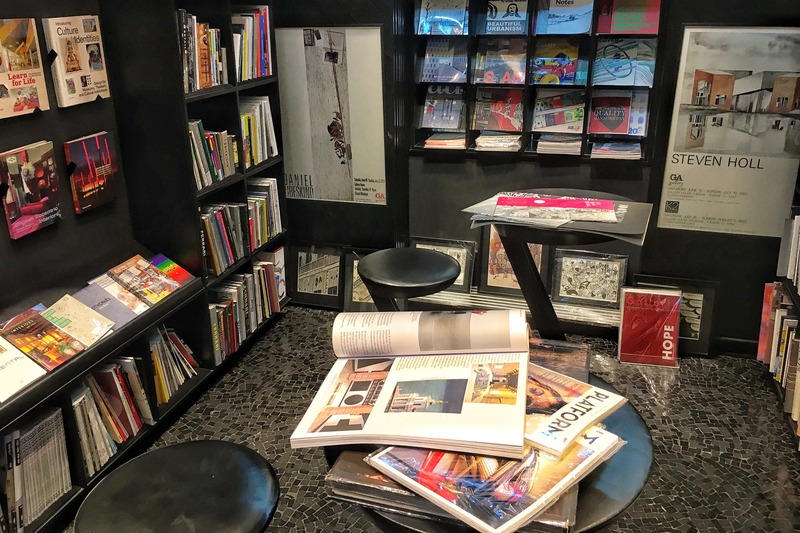 Though it's tiny and cramped for space - as are most spaces in the city - it is a delightful independent bookstore dedicated purely to art and design books, magazines, zines and even illustrations. I walked in here, with my bag in tow and was immediately greeted by the sweet, and smiling staff. They didn't hover around much, just asked me if I was looking for something specific. I love that here you can sit down to read anything (I choose the Platform magazine) and immediately connected to their free WiFi. Yep, it's pretty fast, folks. They have the most diverse collection that has been carefully curated here - from Barefoot Husain to Tony Bevan, and Terry Frost to more utilitarian ones like the architecture of Spain, and the Vanishing Stepwells of India by Victoria Lautman. Most of the books here start around INR 500 and can even go up to INR 10,000 depending on the publishing house, and the rarity. The space itself has been designed pretty admirably - obscure seats that you can perch yourself on, black tiles on the floors; and lights that belong in a modern art gallery. It's definitely a design student or a design professional's personal heaven, and though I'm neither - I thoroughly enjoyed sipping on my coffee whilst going through the 11th edition of the 'Garage' magazine. I wish they also doubled up as a library because these books as expected are ridiculously expensive. I'm a hoarder so I understand the pain of shelling out half of my salary on books I nicely stalk up in my cupboard (never to be read again). They serve free coffee here. A shot of espresso or a cuppa black coffee - ask for it and they'll serve it. Also, if you're looking for a particular book, they can arrange for it.